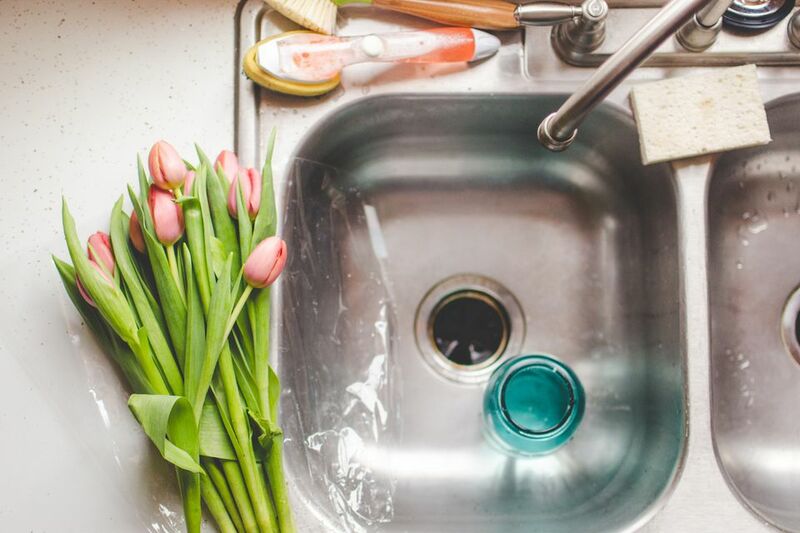 It's easy to see the obvious dirty spots in a home like spilled food on kitchen counters, soap scum in the shower, or a pile of dirty laundry. But what about the spots that may not look particularly dirty but are actually the ones that can affect the health of your family? Let's take a look at your home room by room and shed some light on hidden dirt and bacteria and how to get rid of it. 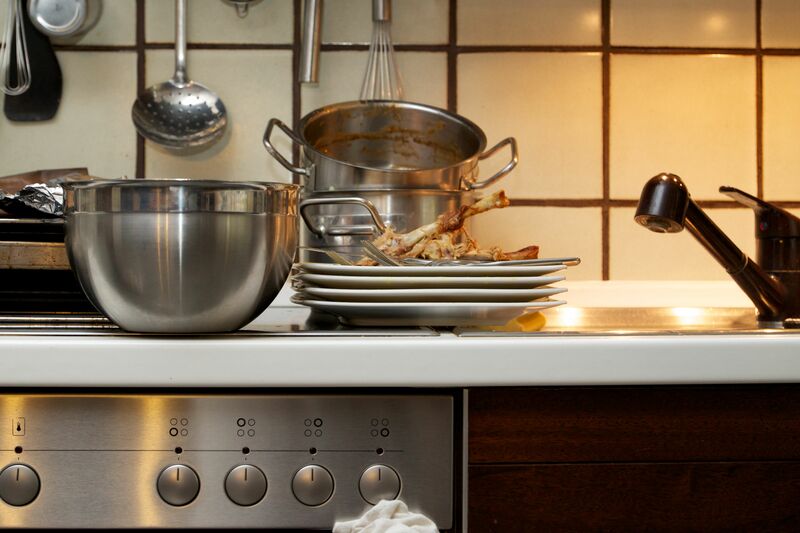 The kitchen is one of the busiest rooms in most homes and also the dirtiest. All of the elements that encourage bacteria to grow–heat, moisture, and food–are readily available. Add to that all of the outside elements like raw meats, unwashed fruits and vegetables, and the germs from everyone's purses and backpacks, and the kitchen is teeming with harmful bacteria like E. Coli. Unfortunately, some bacteria lingers in the bathroom after every use. To ensure that all types of coliform bacteria are controlled, pay particular attention to light switches, door knobs and faucet handles. Keep some disposable disinfecting wipes handy for easy daily cleaning. Bath towels and mats should be washed in hot water at least weekly and allowed to dry completely. Hand towels should be changed several times per week. Bathroom sinks should be wiped down daily with disinfecting wipes and toothbrush holders and cups should be cleaned weekly. When cleaning the obviously dirty areas of the bathtub, shower doors, and toilet, take time to wipe down flat surfaces like walls near toilets with disinfectant products. Whether it's a living room, media or game room, wherever the family gathers, there is hidden dirt and bacteria. Think about how many times someone touches all the remote controls, game controllers, keyboards, tablets, earbuds and head phones, and cell phones in your home. Do they always have clean hands? All of those keypads and controllers should be wiped down daily with a disinfectant wipe that is safe for use on electronics. If someone has a cold or virus, they should be cleaned after every use. And, don't forget switches on lamps, switch plates, and doorknobs. Another breeding ground for bacteria and allergens is upholstery on furniture. The fabric is exposed to sneezes, unwashed hands, pet dander and hair, and soil from feet and shoes. Many types of bacteria can live for several days on these surfaces. At least weekly, upholstered surfaces should be vacuumed with a hand-held vacuum or the upholstery attachment of a larger machine. Be sure to clean underneath and between cushions where food and pet hair can linger. Then freshen and clean with a scented or unscented disinfecting spray. If someone in your home has a virus or skin rashes, cover upholstered surfaces with sheets or washable covers that can be changed and washed frequently to disinfect. That beautiful, restful oasis that you created in your bedroom can harbor fungus, bacteria and thousands of mites and insects. Most of these dangers actually lurk right in your bed. To prevent all of this, bed linens should be changed at least weekly and washed properly. Studies have been shown that after one week, bed sheets harbor more bacteria than a bathroom door knob. If you've ever pulled "clean sheets" from the linen closet and they smell stale, that's because there is body oil and soil still in the fabric fibers. Pillows, mattresses, and box springs should be encased in removable, washable, allergy-proof covers to prevent infestation from dust mites that feed on the skin cells that we shed. Your pet deserves nice clean food and water bowls. They should be washed daily in the dishwasher or by hand with hot soapy water, rinsed well and air dried to prevent harmful bacteria growth. Pet toys can harbor coliform bacteria, yeast and mold. Hard toys should be cleaned with hot soapy water (at least weekly) and soft toys can be hand or machine washed using hot water and a disinfectant. The items you handle every day pick up the germs and bacteria you're exposed to every day as well. Take time to clean your key fobs, purses and wallets. Purses are usually the most germy. They land on the floor and then end up on counters and tabletops in your home. Keep fabric and leather handbags off the ground and clean them regularly–including the interior! Backpacks are a necessity for preschoolers to adults. Whether you carry camping equipment, work out clothes or books, eventually the backpack or your gym bag is going to need to be cleaned and disinfected. Did You Know You Can Make Money Recycling Your Stuff?